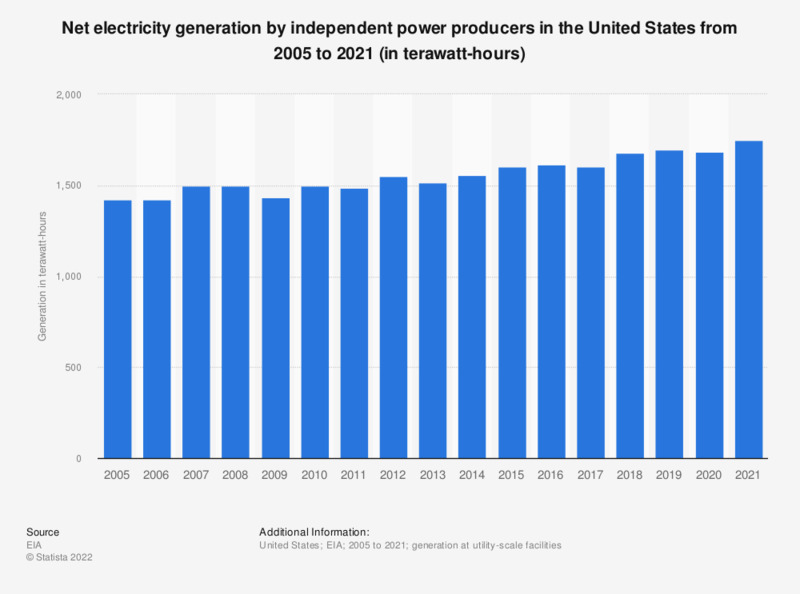 The statistic shows the net amount of electricity generated by independent power producers in the U.S. between 2005 and 2017. In 2017, independent power producers generated some 1.6 billion megawatt hours of electricity. The abbreviation EIA stands for U.S. Energy Information Administration. Figures prior to 2007 are taken from previous annual reports.